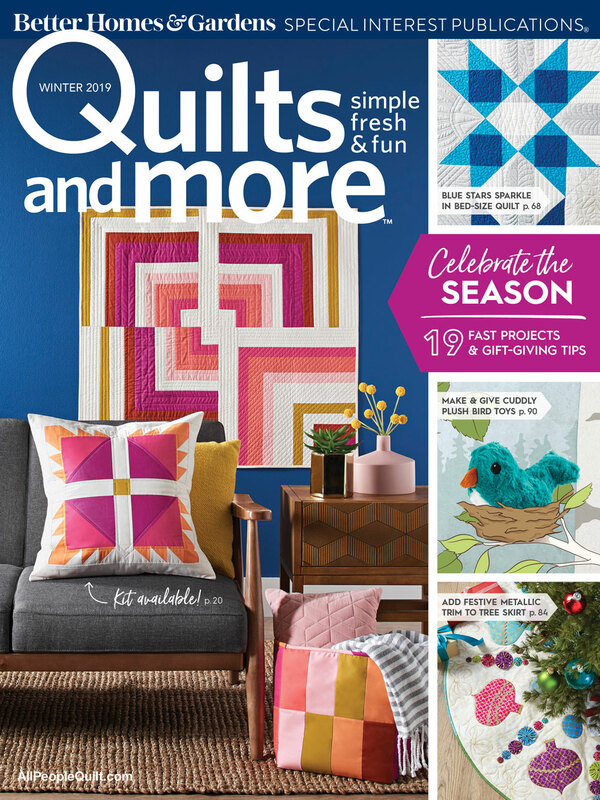 Today I'm excited to share my project in the Winter 2019 issue of Quilts and More magazine! You'll find my trio of bear paw pillows in the Scrap Lab section! Photo used with permission from Quilts and More™ magazine. ©2019 Meredith Corporation. All rights reserved. Scrap lab is a section in each issue where three designers share a project made with the same fabrics. This time around it was a selection of solids from Paintbrush Studio. I loved working with these colors! Each pillow finishes at 20" square and has an envelope closure on the back. You can find kits with these same solids here. They fit on our theater seats perfectly!